Frustrated? writer’s block? wanting to write?  Lisa Naté Carter, Stockton, Calif.
Just arrived from YouTube? Looking for the form mentioned at the end of the 10-minute video? Click on the red phone below (Free Consultation). FREE CONSULTATION 1-hr call with a writing coach Friendly & caring. No pressure, no obligation. Speedy appointment setting. Get a reply today! 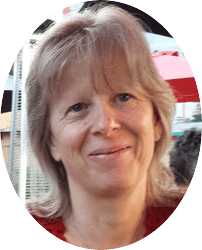 10-MINUTE VIDEO Find out how I can help you with your perfectionism, procrastination, writer’s block, fear of writing, not knowing how to get started & more. FREE DOWNLOAD Writers & closet writers . . . learn how to stop pushing the boulder uphill and let writing be EASIER! My name is Milli Thornton and I’ve been helping writers since 2001. My fun and supportive attitude has helped many writers heal from old creative wounds. I know how to point you to rediscover a passion for writing that got buried along the way. Over the years I’ve found that writers as a species tend to be terrible about getting help. Over and over I’ve heard the relief from my clients and students when I can show them how to easily tap into the riches of the creative imagination. Instead of struggling alone through perfectionism or writer’s block to eke out some words. If I could have a nickel for every time I’ve heard the agony or procrastination replaced by “That was fun!” my piggy bank would be full. Want to start (or finish) writing a book? I can be your mentor for writing a book or just reconnecting with the joy of writing. I’ve mentored many writers who didn’t know how to get started writing the book they’d been percolating for many years. I know how to cut through the self-doubt and go to the heart of the matter. I specialize in helping you write more words than you’ve probably ever written before. And enjoy it more, too! I work with writers anywhere in the world, as long as they have phone and/or Internet access. I communicate with writers by Skype, Uberconference, email and phone. Are you ‘being’ a writer right now? Or just wishing you were? I can help you overcome your inner obstacles to write more words than ever before. Get past your demons & write! I help writers banish perfectionism, procrastination and lack of self-belief. I can help you demystify your Inner Critic. I can help you heal your fear of writing and writer’s block. The problem of not knowing how or where to get started is one you can also bring to me. And (a biggie) I can help you sustain momentum once you do start. I help writers access their imaginations more freely. This way you can feel more creative and write with less effort. I’m passionate about the power of the imagination and how much easier it can make the writing when you know how to let it! I help writers finish their novels and books. And enjoy the process more too! Why did I become a writing coach? My journey to writing coach had its genesis in my own massive, paralyzing writer’s block and fear of writing. At age 13, with the help of my English teacher Miss Thomas at Orara High School, Coffs Harbour, NSW, Australia, I discovered I was a writer. It appeared I was the only one in class who enjoyed the first creative writing assignment Miss Thomas gave us. I wrote an epic sci-fi tale featuring a character called Trudy Renfrew who was having problems with aliens. I was so excited about my story I even worked on it in the car during a road trip with my family. Even though I had early encouragement from my father and Miss Thomas, it wasn’t enough to sustain me over the years. Like many budding writers, I only practiced the craft on and off. I did, however, manage to finish the first draft of my second novel by age 28. That was after an aborted attempt to write my first novel at age 19. Perhaps I could have developed sooner just by writing a lot. However, starting at age 19, I discovered the perils of sharing your first draft too soon. Over the years I received many ill-conceived critiques from people who didn’t know what they were talking about. She meant well. Probably trying to protect me from failure. But my mother was an avid reader of mysteries. She didn’t “get” the sci-fi genre. In a way, her critique actually showed I was on the right track. After all, the dystopia sub-genre of sci-fi I was writing in was not about her accepted reality. However, her response crushed me and I gave up. This pattern was repeated often over the years, with everyone from my mother-in-law to other writers. Eventually I was sick in spirit with a deadly case of fear of writing. To heal myself, I wrote a book called Fear of Writing: putting the fun back into writing. My book was published when I was 40. Having a book to promote can either bury you or push you to develop yourself. I was a loner and a hermit, so this was scary stuff. But the passion to find readers for my book (and closet writers to try my method!) pushed me to develop in ways I never would have otherwise. Among my many adventures in book promotion, I hosted a chatroom for writers and offered a one-day workshop called the Fear of Writing Clinic. In Taos, Santa Fe and Albuquerque, New Mexico, (as well as Spring Branch, Texas) I ran weekly writing circles using my book and method. In 2001, with the curriculum design help of my writing colleague J.R. Turner, I started the Fear of Writing Online Course. The course is still open and available for enrollment. And that’s how my coaching service was born, first known as Writer’s Muse Coaching. I became a fiction writing mentor. Everything from children’s stories—here’s Dandelion Wishes by my client Cheri Wood—to short stories to screenplays and TV pilots. I’m a novel writing mentor. Here’s a novel that I helped author Judith Shaw with from start to finish, entitled Charley’s Horse. I’m an online writing mentor in case you can’t find a writing coach near you. I also help those who want to write nonfiction books. Thank you for visiting. I hope I can help you become a happier writer! My name is Erin Moore, I live in Tennessee, and I first met Milli when I was looking for something to help me understand if I had a “fear of writing.” It turned out that typing in these exact key words took me straight to Milli’s page, which was exactly where I needed to be. As a student of sociology and psychology I’ve studied all kinds of fears, but we never learned that one could be faced with a fear of writing. The testimonials on Milli’s website spoke volumes to me and I knew I was in exactly the right place. I was not sure I could call myself a ‘writer,’ but I was sure Milli could help me find out. I contacted Milli and as soon as I responded to her first email I felt as though I knew her and our bond only strengthened from there. Our first phone conversation was enlightening for the both of us. Milli is perceptive, warm, and understanding. She goes beyond half-way to meet those who are interested in furthering themselves. I’m a blind reader and during our first conversation I explained about technology for the blind and we shared some ideas. This is how we stumbled on to the topic of Milli’s coaching program for writers. As soon as Milli explained the individual sessions and how the assignments worked, I knew her coaching program was for me. I have only been a part of Milli’s coaching program for a few weeks and I’m already starting to see more positive changes, not only my in writing but in my life as well. I encourage anyone who is questioning themselves about their writing to take the questionnaire and open themselves up to new opportunities.